Uses: Anemia, Heavy Menstruation, Dysmenorrhea (Cramps), Dizziness, Weakness. 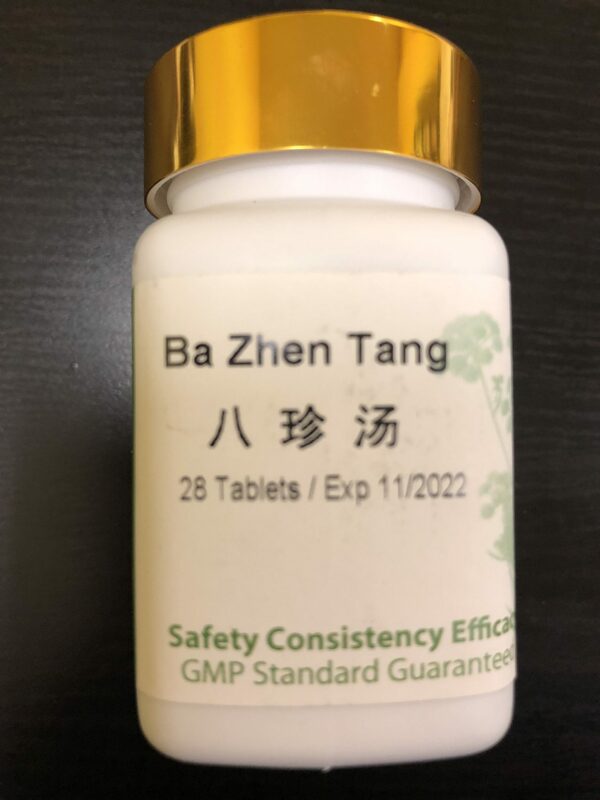 Ba Zhen Wan (Pian), literally “Eight Treasure Pills”, is a widely used formula when there is both qi and blood deficiency. Symptoms may include palpitations, dizziness, shortness of breath, weak limbs, fatigue, and poor appetite. 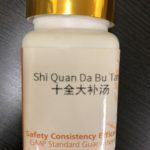 This formula is commonly used during pregnancy to help prevent miscarriage, and after birth to help the mother recovery. It may also be used to chronic illness, irregular menstruation, uterine bleeding, anemia, and for post-surgical recovery. 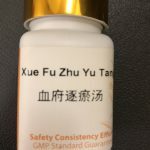 At full dose, one bottle renders an 8 to 10 day supply. Expect results within 3 to 5 weeks of daily use. May vary slightly from brand to brand. 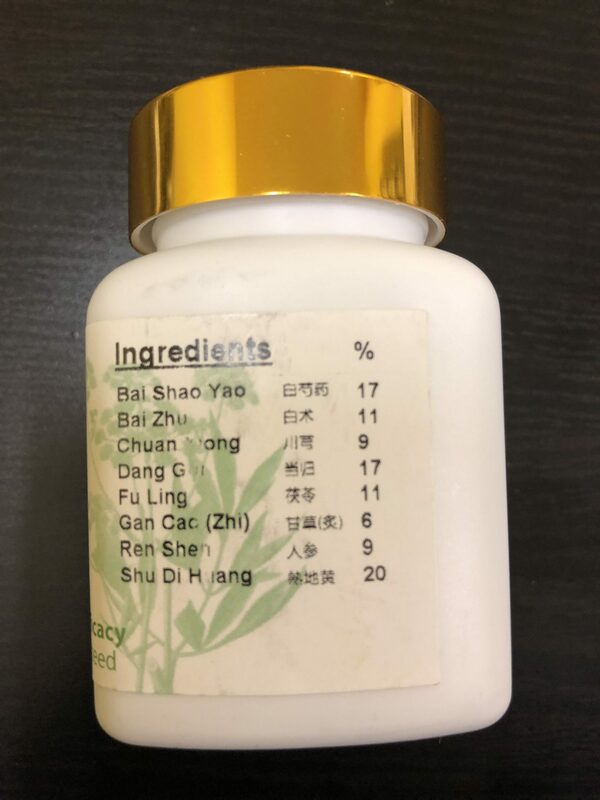 What is listed here are the ingredients of our most commonly shipped brand.